Contaminated papaya appears to be the cause of an outbreak of Salmonella in 23 states the Food and Drug Administration is warning consumers. The FDA says papayas imported from Mexico and distributed by Agromod Produce Inc. of McAllen, Texas, is likely the source of 97 cases of Salmonella agona. To date 10 people have been hospitalized but there have been no reported deaths. As a result, Agromod Produce has voluntarily recalled all papaya sold before July 23. The cases were reported between January 1 and July 18 in Arkansas, Arizona, California, Colorado, Georgia, Illinois, Louisiana, Massachusetts, Minnesota, Missouri, Nebraska, Nevada, New Jersey, New Mexico, New York, Ohio. Oklahoma, Pennsylvania, Tennessee, Texas, Virginia, Washington and Wisconsin. While ages ranged from 1 year to 91 years old, the average age of those stricken is 20. More than half of the cases are women. Texas had the most cases with 25 people falling ill. According to the Center for Disease Control and Prevention (CDC) Salmonella agona is one of about 2,000 strains of salmonella. Symptoms usually show up 12 to 72 hours after infection and can last up to seven days. Approximately 40,000 cases of salmonellosis are reported each year in the U.S. The FDA is telling consumers to check for the Agromod brand stickers on fresh papayas before buying the fruit. Consumers and retailers who already have Agromod brand papayas should throw them out in a sealed container so that even animals can't eat them. 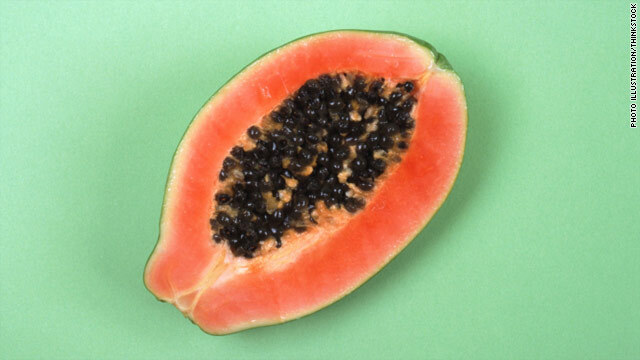 Investigators say anyone who believes they got sick from eating papaya should see their doctor. The papayas could have been distributed nationwide in the U.S. and Canada. The FDA and CDC are working together with public health officials at the state level to identify additional cases. In a press release the agency said "the FDA is taking regulatory action to prevent potentially contaminated papaya from entering the United States, including increasing its sampling of imported papaya."